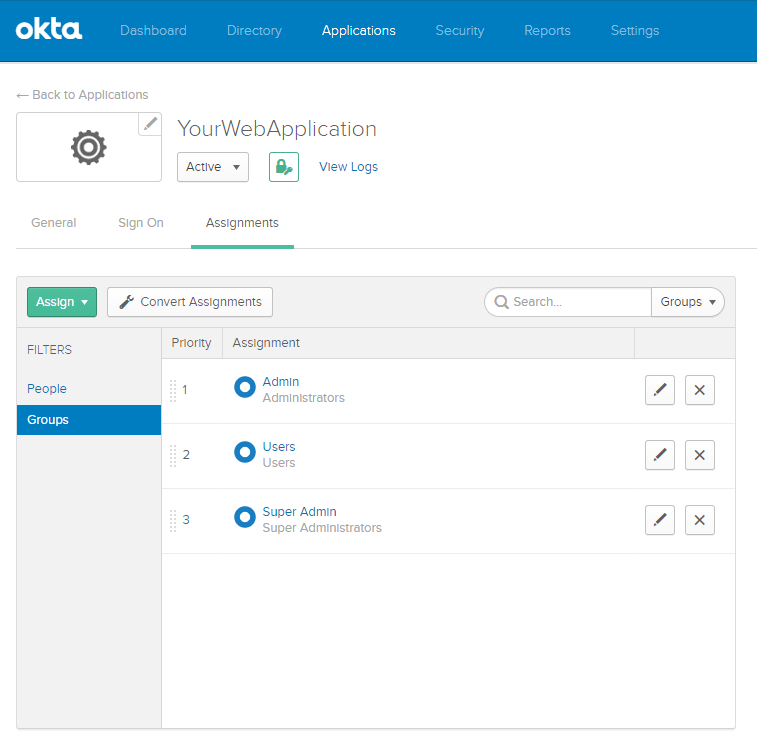 Yesterday we showed you how easy it is to add a simple authentication mechanism to your web application using OKTA but sometimes that is not enough specially when you want to have Role Based Authentication, you cannot just simply use the Authorize attribute and add Roles on it, that will just go on an endless loop of failed request. But like our post yesterday it is easily achievable but we will change the Owin AppBuilder to use OpenId Connect Authentication rather than Okta MVC. First lets configure your API to handle this request. 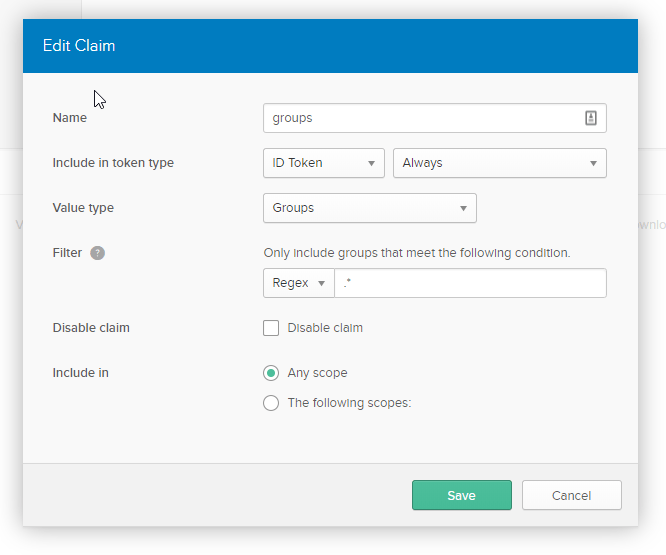 check the Disable claim checkbox and choose Any scope radio button. // These values are stored in Web.config. Make sure you update them! But make sure you have those group name in your application, this Group Names are the one you identified on the Roles on your Authorize Attribute. Like I said the authorization should work, but there is one issue. If a user is logged in but does not belong to the right group, the default AuthorizeAttribute will attempt to redirect the user to the login screen for authentication, then the login screen will see that the user is already authenticated hence redirecting him back to the redirectUri with the token, then it will rebuild the ClaimsPrincipal and try to redirect the user back to the URL they originally requested then you are trapped in an endless loop, so take note. To overcome that we need to Create a Custom ASP.NET MVC Attribute to avoid this problem. We just need to override the default behavior when the user is unauthorized, so lets inherit the AuthorizeAttribute by creating a class called OktaAuthorize and override the HandleUnauthorizedRequest method like such. Now I think we have one more thing left to complete the series. What we missed is how to Use and Present the User Attributes in Okta such as ID, email, First Name, Last Name, Employee Number, etc. So next week we will show you how it is easily done. Till next time, follow this space.